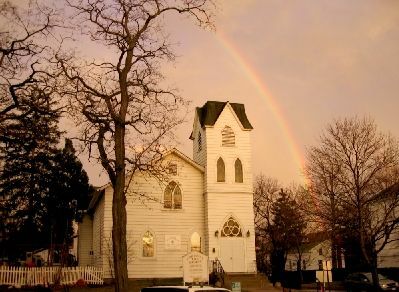 "Old Church on the Green"
Click Here to see our CLASS CALENDAR. 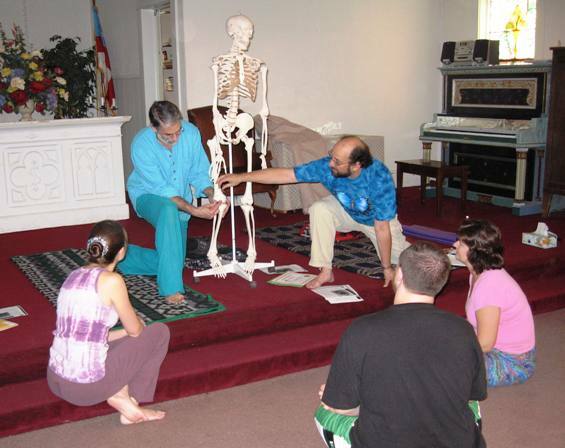 Larry Terkel and Matt Lerner lead a class on anatomy with a group of Yoga Teacher Trainees with the help of "Lester". 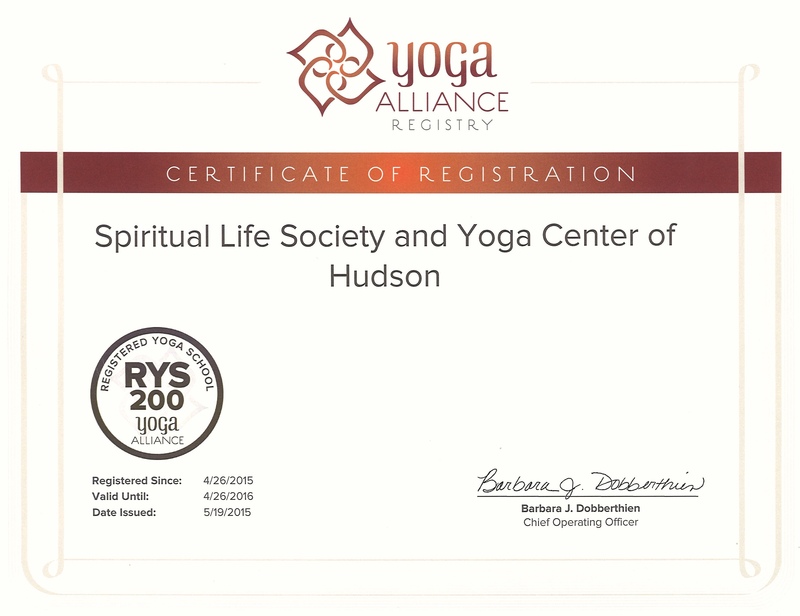 Larry and Matt have each been teaching for over 40 years and are E-RYT-500s, the highest level of registration that is offered by Yoga Alliance. 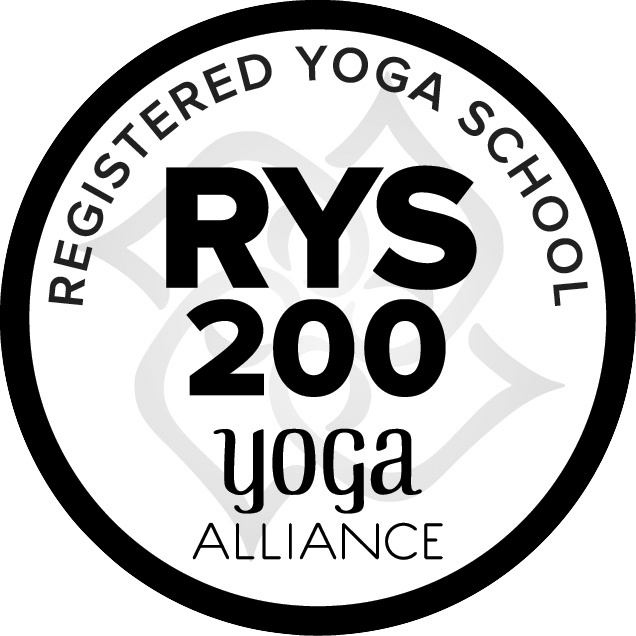 We have offered Yoga Teacher Training since 1982 and became registered with Yoga Alliance (YA) in 2005.
at the 200 hour with Yoga Alliance (YA). 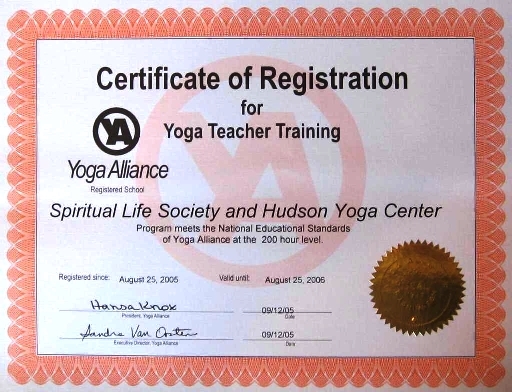 Our certification that will qualify you to become a "Registered Yoga Teacher" (RYT) at the 200 hour level, an "RYT-200". This Yoga Teacher Training is a systematic and spiritual program based on the eight‑limbed approach of Patañjali's classical Astanga Yoga (Raja Yoga).